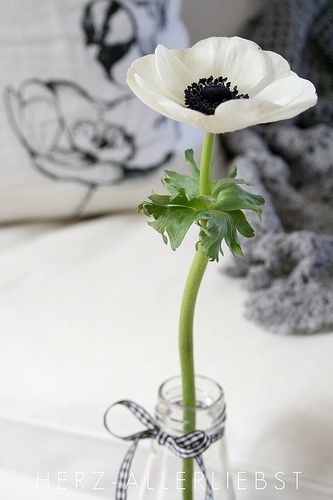 Lately I have been inspired by Blackwork embroidery. The designs are so clean and simple and graphic. 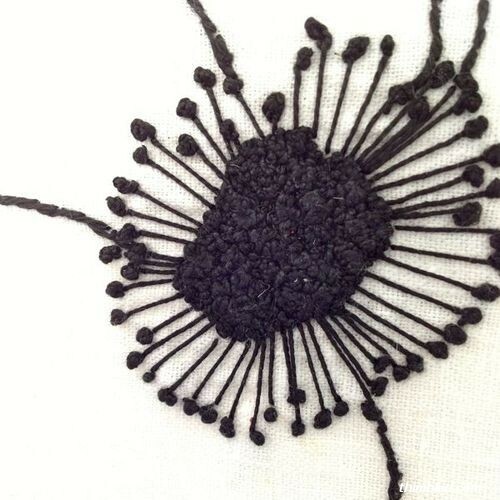 It was typically black silk thread on even weave cloth. I find that the designs are a mix between cross stitch and embroidery. Not that I am really well read on the art, but I did read that Catherine of Aragon brought this needlework from Spain when she married that dog Henry VIII. It was used on clothing... what you typically think of Renaissance wear. I love the repeated motifs in this sampler... so intricate! I haven't ever done any counted cross stitch, but this seems similar. I love how they filled in the leaves with a pattern. 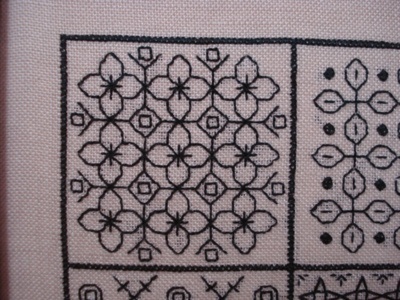 I am going to have to attempt a true blackwork sampler soon. I wonder if it will be too precise for my liking. 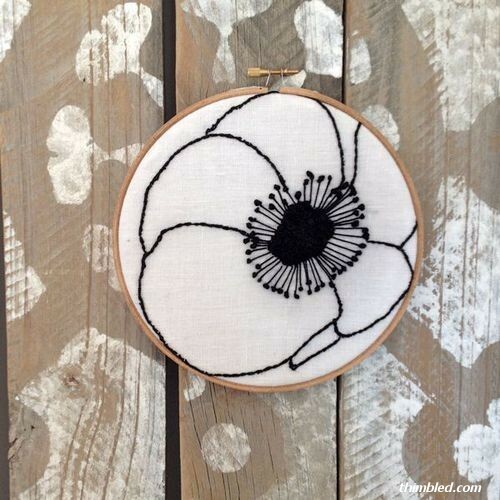 In the meantime, I took a cue from my very favorite flower, the Mona Lisa Anemone, and embroidered a little hoop. I made lots and lots and lots of french knots! I am sure satin stitching would have been faster, but I think I really just don't like the satin stitch! I created another pattern to go with this one, but I got distracted by a couple balls of yarn and I am on my way to knitting my 2nd scarf! I finished the first last week. I have a sneaky suspicion that everyone will be getting a scarf this year for Christmas! ha! 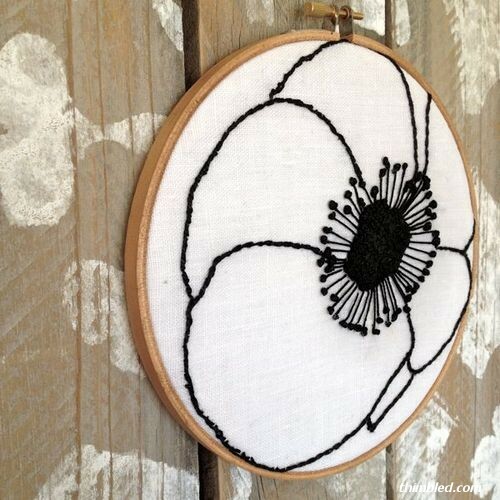 images of Blackwork embroidery and anemones can be found on my Pinterest boards.